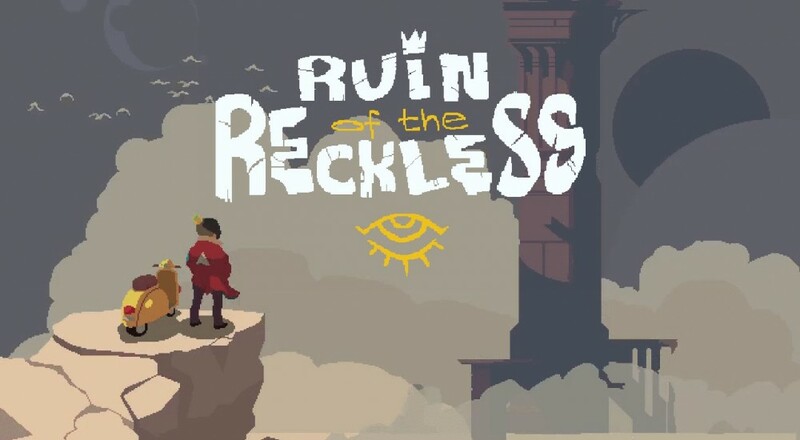 Action roguelike title, Ruin of the Reckless, is well on its way to completing the journey from Twinkle in the Developer's Eye to Actual, Real, Video Game. With a late-April release date looming on the horizon, developer Faux Operative is hard at work throwing on some extra polish to their Beta as well as... wait, what's this? LOCAL CO-OP?! Well, okay, maybe it's not that surprising, considering that's one of the core tenets listed on the game's Kickstarter page, but it's exciting nonetheless. Drawing inspiration from such games as Nuclear Throne and Samurai Gunn, RotR has promised to deliver co-op gameplay in which both players control their own, unique character, not some puny, throwaway sidekick. While we're not quite able to see both unique characters in action (both players control a duplicate of Stargrove for the time being, as seen above), the local two player co-op is clearly nearing completion. It appears the rest of the game is as well, since the patch notes indicate the developer's focus has shifted to performance and stability improvements alongside the co-op implementation. Ruin of the Reckless was successfully Kickstarted in September of last year, enticing gamers with promises of "fast-paced melee combat, speedy movement, and co-operative play" and an art style reminiscent of 16-bit classics. For the sake of us Spelunky, Rogue Legacy, and Nuclear Throne junkies, let's hope RotR is a welcome addition to our masochistic libraries.